Last week, while avoiding work, I stared at a gif of an endless model train spiral for what seemed like hours, transfixed by the constant, seamlessly looping stream of miniature carriages, moving without end, going nowhere, yet constantly in motion. It’s one of thousands of Reddit posts I’ve seen from GallowBoob without knowing who he was or how he appeared on the site so often; if I had gone anywhere else on the internet to procrastinate, odds are, I’d still be looking at something he made popular first for millions of internet users around the world. With more than 5,546,795 link karma (Internet points given for posting popular content), GallowBoob is Reddit’s top curator of gifs, photos, videos, and clickable material. The average karma count for active users is just over thirty-one thousand (as measured back in 2011, when the number of users was far lower than it is today), and with a mere twenty-five slots on the front page reserved for the most popular content, few users ever get their posts within spitting distance. Getting to the front page for a typical user is a rare, serendipitous occurrence, if it ever happens at all. GallowBoob’s posts make it to the site’s front page on a near-daily basis, which means that the material he shares helps determine the viral content that spreads across the entire web. GallowBoob’s power is odd and largely invisible — he has done little to acknowledge or capitalize on his influence, and most casual Reddit readers don’t know his name — but his most popular posts reach can receive more than sixty-five hundred upvotes, and six of his links appeared on the site’s homepage last Saturday alone. A landscape architect by trade, and a child of the Lebanese Civil War by circumstance, GallowBoob is the anonymous patient zero behind a great deal of viral content in your Facebook feed — the accidental curator of a stream that largely defines the boundaries of a hyper-competitive landscape of web publishing in 2015. Upworthy, Gawker, BuzzFeed, and countless smaller viral content sites are all influenced by Reddit’s highly ranked original and re-aggregated content. But GallowBoob doesn’t see himself as an internet tastemaker, much less a content curator for the internet at large. “I wouldn’t want to say that it’s just about picking stuff and taste, because I’m exposed to a lot daily and I definitely get to choose what I want to draw [from]. Granted some posts don’t make it, but a ridiculous amount of stuff does,” GallowBoob told me via Google Hangout, speaking under the condition of anonymity (as he deals with increasingly irate users). GallowBoob’s satisfaction with getting rewarded solely in imaginary internet points is a rarity in the world of self-made content kings and queens. During Digg’s heyday in 2008, user MrBabyMan — Los Angeles-based film editor Andrew Sorcini — held similar clout at the social sharing site that propelled websites (and covert advertisements) into viral nirvana. At his peak, Sorcini had over twenty-four hundred articles land on Digg’s homepage, garnering fifty million pageviews for the sites to which he linked. In time, other Digg users accused Sorcini of stealing content, egging on friends to vote for articles, and circumventing the site’s code of conduct. 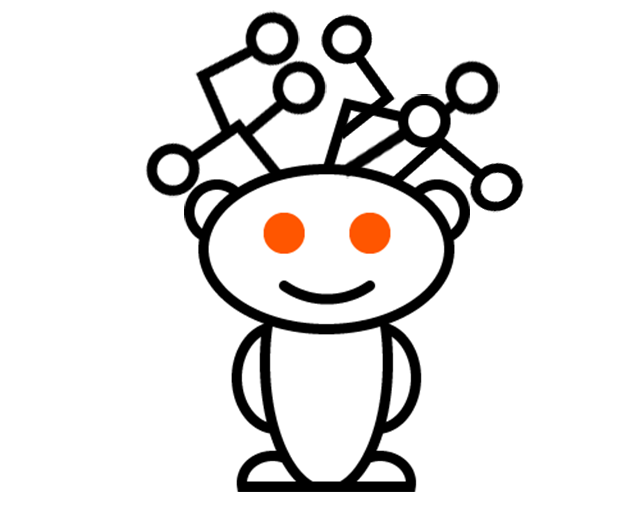 In Reddit’s first ten years of operation, it has accumulated thirty-six million user accounts, more than eight hundred and fifty-four thousand subreddits (just over nine-and-a-half thousand are active), and just over seven and a half billion pageviews per month. Condé Nast had acquired it in 2006 for an undisclosed sum reported to be as much as twenty million dollars (or as little as five)*; during a funding round in 2014, it was valued at half a billion dollars, and it has only sixty-five employees. This makes the free army of editors, curators, and writers that are embodied in Reddit’s user-base all the more tempted to turn their free labor into a paid opportunity through advertising and shameless plugs for products. There’s a bumper crop of websites selling upvotes, user accounts with high karma ranks, and methods that detail how Reddit can be used for free (or at least organic-looking) promotion. GallowBoob has no further aspirations of being the king of the internet, either — or of Reddit, for that matter. “Considering I am spending my time on Reddit right now while also working on my personal projects, I would say once they go live, I’ll reduce my presence here gradually,” he said in a recent AMA. If he goes, so goes one of the sources that popularizes much of the web’s viral content. But as one anonymous cog in the internet content machine, it’s likely that few will even realize the impact of his departure. And it wouldn’t matter, either: For all the arguments over original content, reposting stolen story ideas, and rehosting content for clicks, people seem to neither know nor care where their viral videos, gifs, and images come from (as the success of The Fat Jew has shown). If graffiti is the purest form of art because it is done for neither fame nor profit, one must ask if this isn’t true for the pure-hearted content miners of the internet as well. The small, endless model train began to symbolize a few things for me: at first it was a distraction from a tedious but necessary task — transcribing my interview with GallowBoob — but, as I thought about it, it began to mean so much more. Reddit’s anonymous userbase has the power to unleash wealth, fame, or ire within a moment’s notice. But for its top user, it’s a time waster in the form of a contest — one where the rules are made up, and the points don’t matter. Content, either new or old, becomes a car in an unending train on a spiral track, one that is propelled forward with no beginning, end, or destination. * This piece originally totally misstated the acquisition price that Condé Nast paid for Reddit. We regret the error!